For decades, the California Environmental Quality Act (CEQA) has encouraged sprawl and hindered development in high-density urban areas, while often not helping the environment. Last year, Gov. Jerry Brown signed into law Senate Bill 743, creating a process to change the way that transportation impacts are analyzed under CEQA. The Governor’s Office of Planning and Research (OPR) released draft guidelines of proposed modifications in August for public review, which recently ended. A panel of experts, advocates and local government officials considered the impact of changes to the CEQA at a recent event. 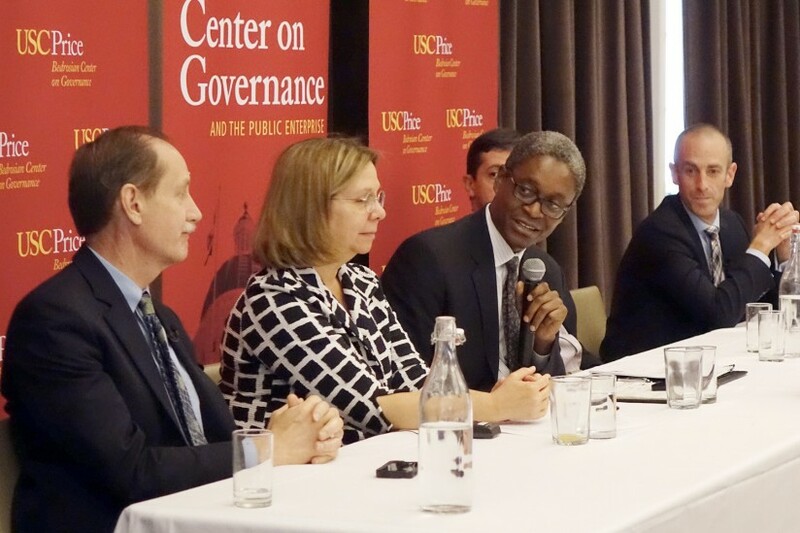 The discussion was a joint collaboration between two areas of the USC Price School of Public Policy — the Bedrosian Center on Governance and the Public Enterprise and the Lusk Center for Real Estate. Raphael Bostic, director of the USC Bedrosian Center, led a panel featuring Rick Cole, deputy mayor for budget and innovation in the city of Los Angeles; Ethan Elkind, associate director of the Climate Change and Business Program with a joint appointment at UCLA and the University of California, Berkeley; Ann Sewill of the California Community Foundation; and Mott Smith ’99 of Civic Enterprise Associates. 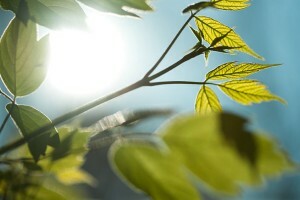 When proposing in its draft guidelines to switch the standard for measurement of transportation impacts from congestion to vehicle miles traveled, OPR cited work by USC Price Professor Marlon Boarnet along with Susan Handy of the University of California, Davis, that reviewed available evidence on 23 strategies for cutting greenhouse gas emissions. The paper, which Boarnet and Handy prepared for the California Air Resources Board, found that higher densities and a land-use mix in which housing, shopping and other activities are combined within a small area significantly reduced vehicle miles traveled. However, increasing the auto capacity of roads and highways, a method sometimes used by suburban projects to meet CEQA requirements, actually increases driving. It’s important not only to produce new research, but to translate existing research for a policy audience. The old metrics discouraged infill development and construction of infrastructure for transit, cycling and walking due to an auto-centric congestion focus. Infill, or the redevelopment of vacant or underused parcels within already developed areas, might cause more traffic in the immediate area, but it leads to people walking, biking, using public transit or driving shorter distances. The OPR has proposed to give infill projects a pass if located within half a mile of a transit stop. “We’ve actually aligned the law with common sense, that driving fewer miles is better for the environment,” said Smith, a graduate of the Dollinger Master of Real Estate Development program at USC Price. Elkind explained that outlying projects will have to make up for the additional driving they cause, and that the list of suggested mitigating measures proposed by OPR includes some that could change the culture of sprawl in California. One is requiring mixed-use development for outlying projects. 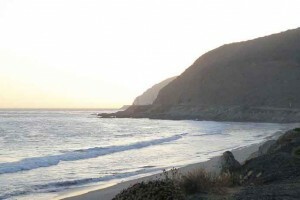 CEQA was enacted in the late 1960s to put a check on unfettered government actions. By the 1990s, people began realizing it was stopping a lot of development in the downtown core areas where such projects were needed to meet environmental goals and market demand. 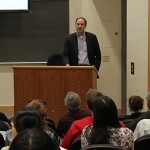 UCLA professor Matthew Kahn lectures on "China’s Future Green Cities" at Lewis Hall. Matthew Kahn proudly calls himself a “free market environmentalist.” During his recent talk on “China’s Future Green Cities” at Lewis Hall, he explained the moniker as part of the Urban Growth Seminar Series hosted by the USC Sol Price School of Public Policy and the USC Center for Sustainable Cities.